The Bakken formation is a rock unit which occupies about 200,000 square miles beneath parts of Montana, North Dakota, Saskatchewan and Manitoba. The formation is entirely in the subsurface, and has no surface outcrop. In 2013, the Bakken produced more than 10% of all U.S. oil. As a result, North Dakota was named the second largest oil-producing state in the U.S, behind only Texas in terms of volume produced. 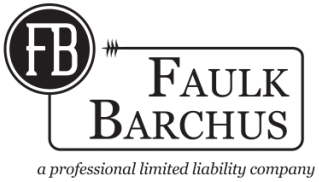 Faulk Barchus has served clients who have been "Rockin' the Bakken" since its discovery. Our attorneys can assist you with all types of your needs in this area.